the tech and geek musings of a 40 something year old tech geek. Well, it is one of the few shipping Thunderbolt docks. There are a few on the market, the Matrox and the Belkin but what separates this is the feature-set and price of $199. It has three SuperSpeed USB 3.0 ports, audio I/O, Gigabit Ethernet, HDMI and dual Thunderbolt. The second Thunderbolt port can be used for daisy chaining. This could be the first device on your chain and you can chain drives and accessories afterwords. Now compared to the Matrox DS1, the Matrox has only one USB 3.0 port and two USB 2.0. It comes in either DVI-D or HDMI. It almost matches the Caldigit but comes short of only one Thunderbolt port. Meaning, it will be the last device on the chain. The Matrox retails for the same $199. The Belkin Express Dock is a much more expensive affair. About $100 more, it comes with Firewire but lacks a dedicated video out. You can use one of the Thunderbolt ports for video (using a miniDP adapter) but that means, it will be the last device on your Thunderbolt chain. The question now, is Firewire worth $100 to you while sacrificing a Thunderbolt port for video? I didn't think it was worth it so I ended up with the Caldigit. 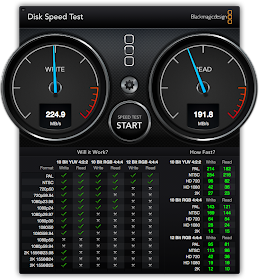 Moreover, the Belkin caps the USB 3.0 at 2.5 Gbps where as the Caldigit supports the full 5.0 Gbps speed along with UASP. There is also the Apple Thunderbolt Cinema Display with it's wide array of ports. I already have a 27" monitor so $1000 for a docking station is a bit superfluous. With a single Thunderbolt cable, you have a the ability to expand and dock a Macbook Pro/Air with ease and simplicity. The only other cable you need is a power cable and you pretty much have a complete Mac based docking solution. Everything else can be hidden from view. A very elegant solution if you are the type who does not like desk clutter. Before, I would have something like this on my Retina 15" Macbook. Both sides cluttered with wires. Thunderbolt connected RAID drive, Thunderbolt gigabit, HDMI monitor, USB 3.0 Time machine drive, and a Kanex USB 3.0 hub for extra accessories. Sure my desk is still cluttered but I only have two cables (power and Thunderbolt) coming out of my Macbook Pro. Now, it is just a matter of cable management. The back USB ports are widely spread apart where you can easily add chunky USB pen drives and other girthy USB devices. This is a big plus in terms of design. One of the issues with the Belkin Express dock was the fact it dropped USB 3.0 speed to 2.5 Gbps instead of the max theoretical 5 Gbps. 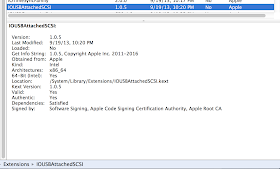 Moreover, the Caldigit dock is advertised as being UASP (USB Attached SCSI Protocol) compliant. Surprisingly well! 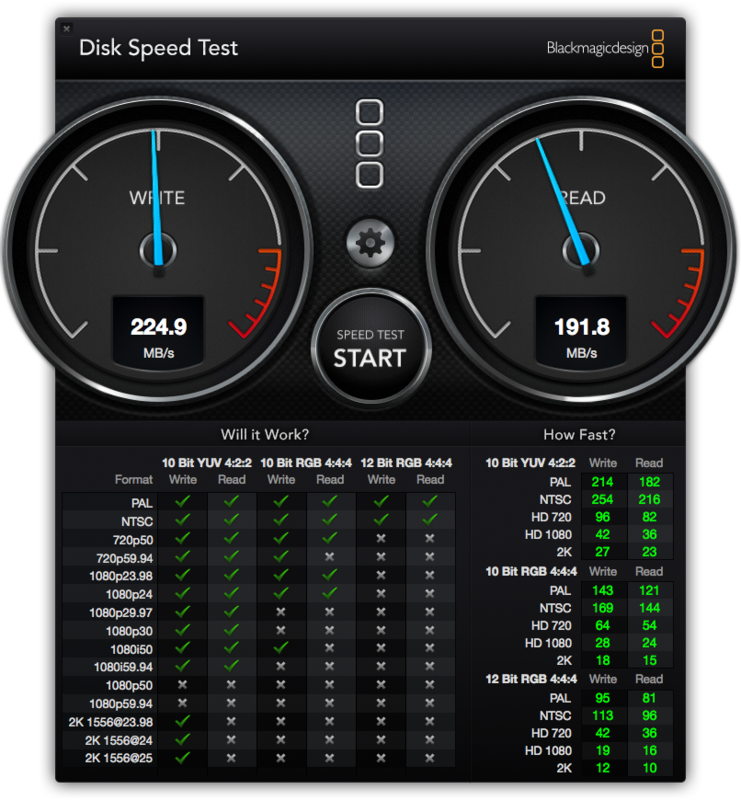 I tested this on my 2013 15" Macbook Pro Retina, 2012 Ivy Bridge 13" Macbook Pro, and late 2011 27 iMac (without USB 3). 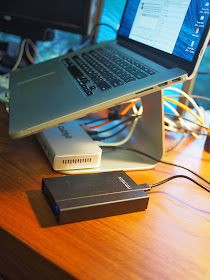 An Oyen USB 3.0 enclosure housing a Samsung 830 SSD with ASMedia USB 3.0 chipset (one of the fastest on the market) produced 247 MB/sec writes and 153 MB/sec reads through the Thunderbolt dock connected to my 13" Macbook Pro. 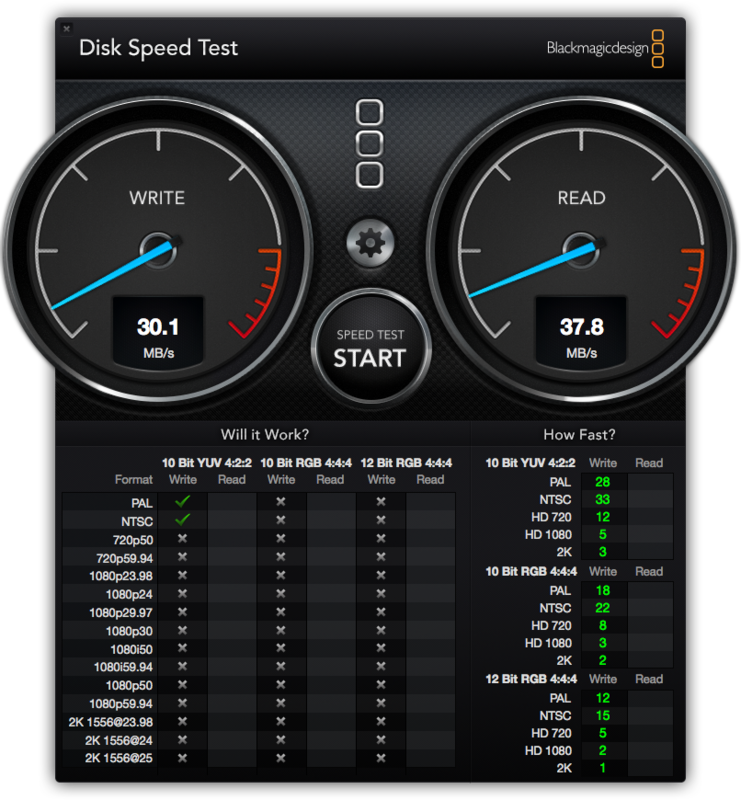 For comparison, the same drive connected directly to the USB 3.0 host of the Macbook Pro 13. OK, so both my Macbook Pros have USB 3.0. So what is the big deal this dock? The big deal was moving this over to my 2011 iMac which doesn't have USB 3.0. This is a Sandy Bridge iMac with just Thunderbolt. 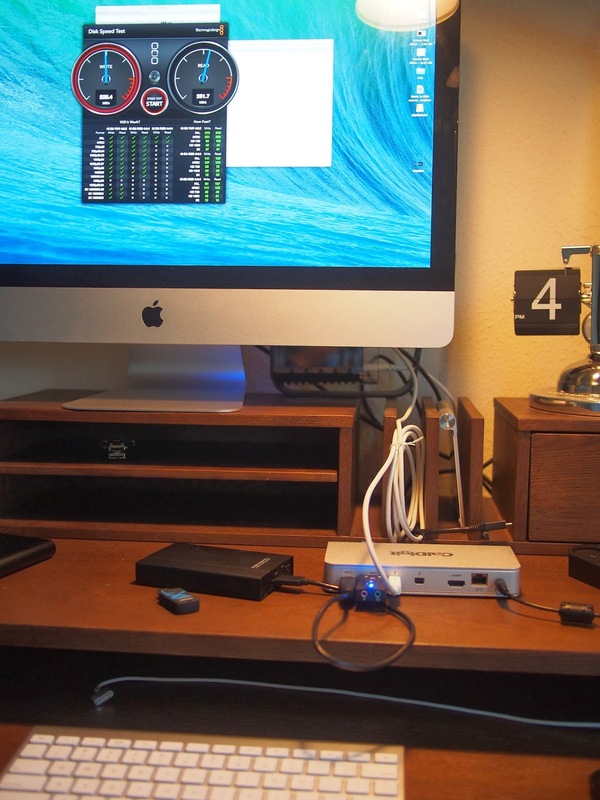 Here is the iMac using the Caldigit Thunderbolt Station connecting to the same USB 3.0 Oyen drive. And here is the same drive connected to just the USB 2.0 of the iMac host. Synthetic benchmarks are fine but how does this perform in the real world is what matters most. I connected two USB SSD drives (Samsung 256GB 830 and a 240GB 840) both to the Thunderbolt Station connected to the iMac. The results were surprisingly good. Obviously, there will be some CPU overhead with USB. 20GB of MP4 movies took less than 2 minutes to copy. On average, I was getting sustained 200-250 MB/sec transfers copies between drives. 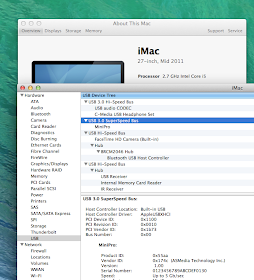 On the iMac, it shows up a 5Gbps USB 3.0 controller. And the proper USB Attach SCSI (UASP) kext do indeed load up when it is connected to an UASP enabled USB drive. This subject seems to bring up some controversies and more questions. First and foremost, this device will only support whatever your GPU supports in term of maximum displays. For example, my Macbook 13" can only support one more external display whether it is HDMI (1080p) or 2560x1440 via Thunderbolt/DisplayPort. 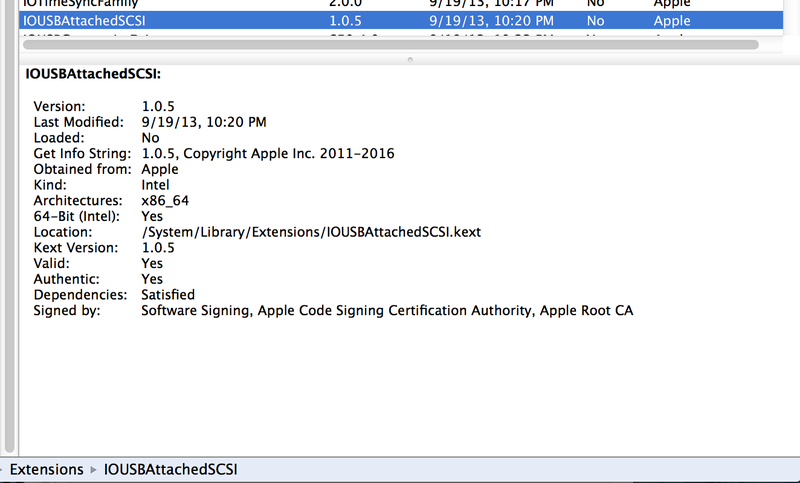 Now when it comes to the 15" Macbook Retina, there is definitely some confusion. Out of the box, it has been stated online, it supports either HDMI or Thunderbolt. I've read that it doesn't support dual HDMI. I'm pretty confused myself with conflicting statements I've been reading. After various tests, I was able to get 3 to 4 displays running total on a 15" Macbook Pro Retina. As for three to four displays, it is possible with a caveat. You either connect to the second Thunderbolt port on the Macbook or use another Thunderbolt device with daisy chain port at the end of your chain. Sound confused? It is better to illustrate with pictures. In this picture, I have a 27 inch 2560x1440 Dell with DisplayPort. Next, I have a 23" 1080p HDMI monitor in portrait mode. I am using a SINGLE thunderbolt cable to run both displays connected to the Caldigit Thunderbolt Station. It required another Thunderbolt device in the chain to pull this feat. 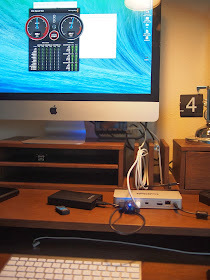 In order to get the 27" Display, I used a Seagate Thunderbolt Drive dock, It is connected to the Caldigit at the end of the chain and the Dell is connected via DisplayPort to the Seagate Dock (white cable). I could easily just plug the 27" Dell to my second Thunderbolt port on my Macbook to get the same effect. Have in mind, the Nvidia GPU GT 650M only has a maximum output of three displays. There is no cajoling this. Update: After a few reboots, I magically got this to run 4 displays. The 27" is connected to the second Thunderbolt port off my Macbook. The HDMI off the Caldigit Thunderbolt station is powering the 23" Portrait monitor. My onboard HDMI is powering the 4th display. The 4th monitor is my battery powered portable HDMI GeChic 2501M which only supports 1336x768. This is strange considering all the documentation I've read stating the Nividia only supporting 3 maximum displays. It doesn't appear the built in INTEL GPU is powering the fourth display. I had to connect both HDMI onboard (and dock) as well as use my 2nd Thunderbolt port. Here, you can see the System Preference reporting all the displays. Hence, I think there is some room for the FAQ/Specs to be more clarified. I think your mileage will vary. Do not expect to connect a 11" Macbook Air and get the same performance as my $3500 loaded 15" Macbook Retina. The number of screens you can connect is dependent on your mac's GPU's capabilities. Update concerning multiple displays: Please Read Apple's FAQ (http://support.apple.com/kb/HT5219#dispnum) on number of displays possible given your machine. Again, the CalDigit Station will not output more than what your machine is capable of. This dock uses a USB sound DAC. I have nothing to report on this. It works and it appears to be a TI based DAC that supports 2 channels. I was a bit worried that the Gigabit may be USB 3.0 driven as well. However, it is good to know it is PCI based. It does requires drivers for Mountain Lion which I assume is on the CD-ROM supplied. Since my Macbook Retina lacks an optical drive, I downloaded the drivers from the web. 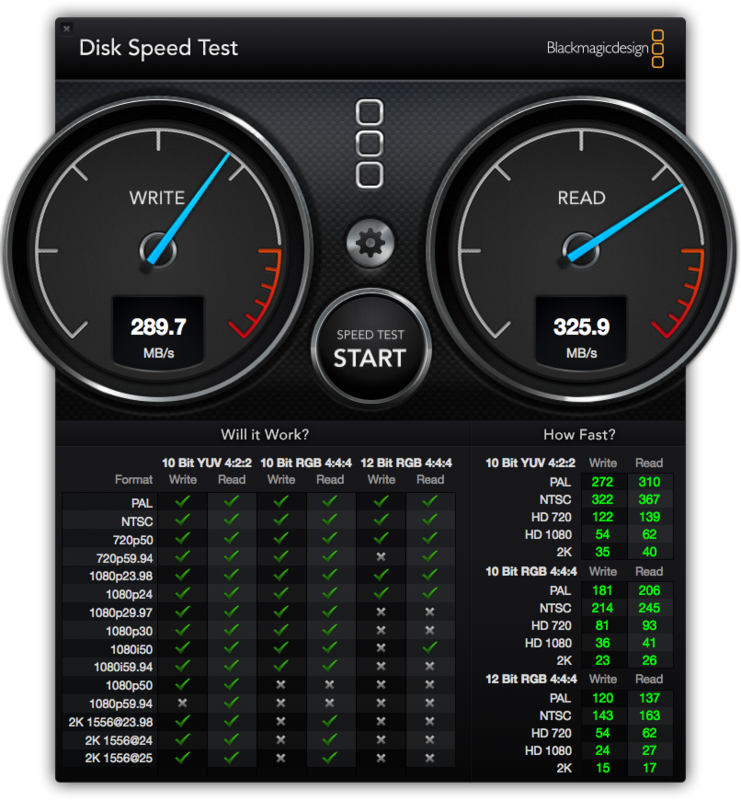 Note, the driver is not necessary when running 10.9 Mavericks. In fact, if you are running Mavericks, do not install any drivers. The Caldigit's Ethernet port is a full 1Gbps true Gigabit network card. Compared to the Apple Thunderbolt Gigabit adapter, it performs the same. 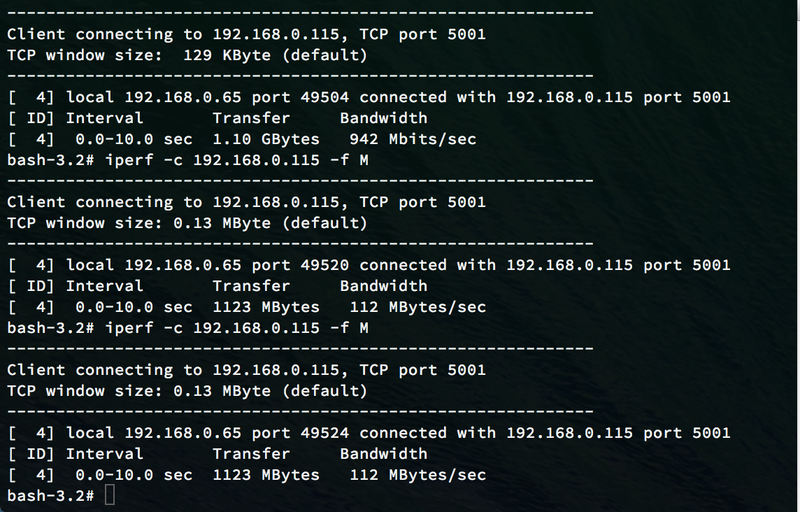 iPerf reports it hitting the Gigabit limits. 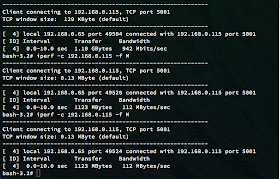 Both devices hit 110-112 MB/sec which is the upper threshold of maximum Gigabit throughput after network overhead. I am more than satisfied with the performance Time will tell if there are any issues. Overall, this is a handy device for owners of 2011/2012 Macbook Air owners. Those owners who have a single Thunderbolt port with no USB 3.0 ports. It allows those owners to have instant Gigabit and video with this handy device. Those owners would probably benefit the most from this device. It might be a tougher sell for others. For example, I have a 27" iMac with dual thunderbolt and no USB 3.0. I can't justify the purchase of this for just USB 3.0 on my iMac. However for my Macbook Pros, I really like the convenience factor. 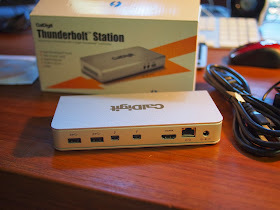 The Caldigit Thunderbolt Station replaces all of these: USB 3.0 hub, HDMI, Ethernet, and sound DAC. Importantly, I don't have tangling spiderweb of wires and to me, that is what makes this product worth it. Unlike dedicated docking solutions (like the ones found on my Thinkpads), this device won't easily be out-dated. It is not married to a specific computer or device. Future computers will be able to use it as long as Thunderbolt is a viable technology. As you can see below, it clearly help cleans up the clutter. After cleaning up and better cable management, this is a much cleaner look. I bought one of these, and am trying to attach two Dell U2713HM monitors to it. So far, I have it working by connecting one monitor to the thunderbolt port, and one to the USB 3.x port using a DisplayLink adapter from StarTech. If I understand you correctly, one second option (since the HDMI is stated as 1.4a) is to attach one monitor via HDMI to CalDigit, then get a daisy chainable external thunderbolt hard drive, then attach one monitor to that using the display port? If so, that would be nice, since it would remove the USB latency from the displays all together. Thanks for your review, and your feedback. I don't think you can power two 2560x1440 displays at the same time. I haven't tried it but I think there is a GPU bandwidth issue with that high of a pixel real estate. 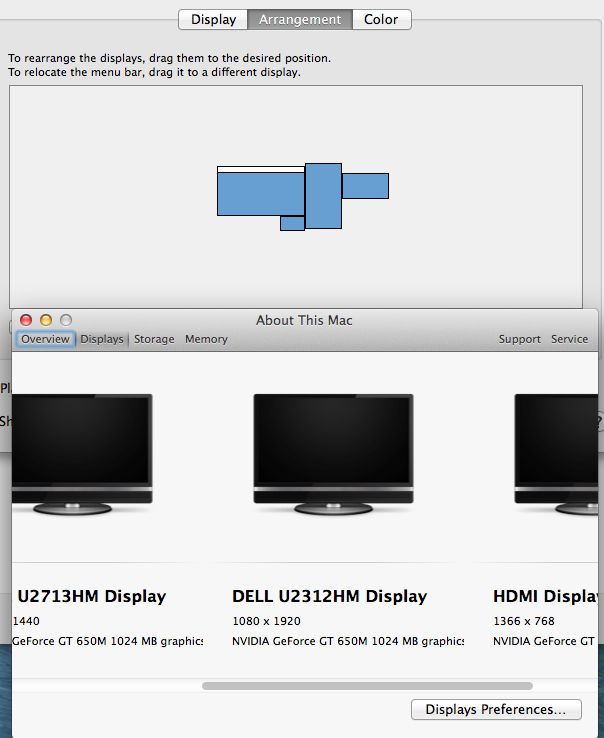 Also, I could never get the U2713HM to run 2560x1440 via HDMI. I know you can change your EIDID profile and there are some weird hacks for that. However, I've been reading this subject for months and it is iffy at best to get anything more than 1080p via HDMI on that monitor. Dell's support page seem to state 1080p is the max you get via HDMI on that monitor. 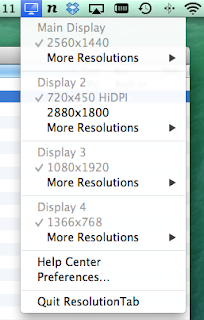 You would need to run displaylink for DVI-D to get 2560x1440. I think if you have two thunderbolt ports to connect one from your mac, the second from the thunderbolt station. 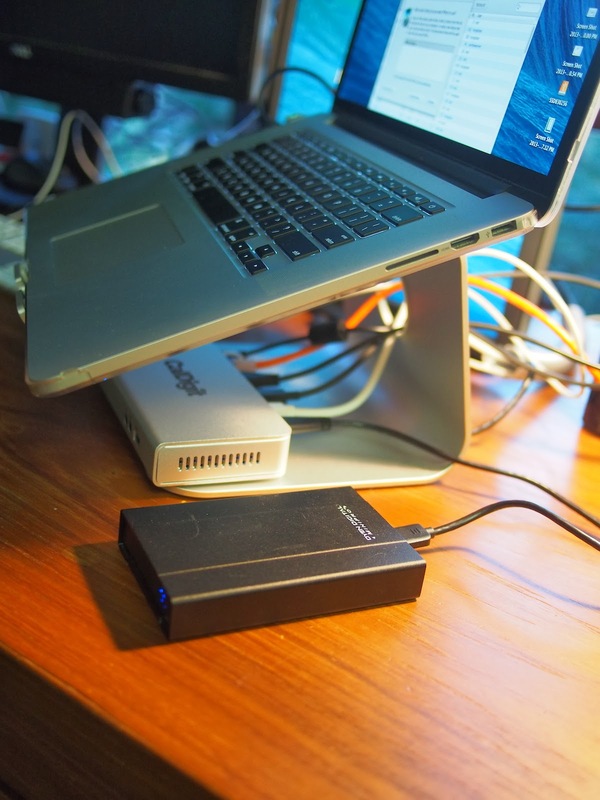 The chainable hard drive was only necessary if you plan to use the HDMI off the station and displaylink from the station's second thunderbolt port simultaneously. If you don't use the station's HDMI output, the chainable drive wasn't necessary for me. What about with a lower resolution such as 1080p? 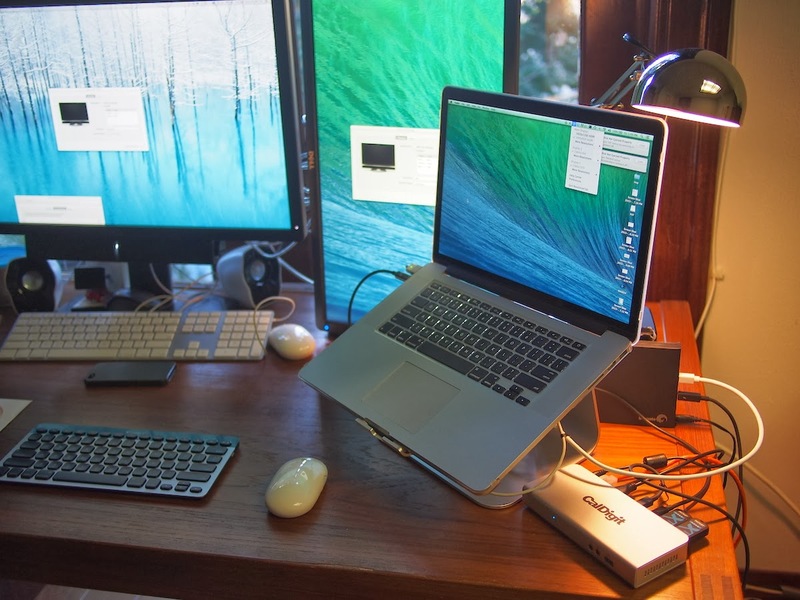 I was looking at doing a similar setup as John with my late 2011 15" MBP with one monitor attached to the HDMI port and one to a USB display link adapter for dual monitors. However, if I could get it to work with 1 attached to the HDMI port and a DP monitor attached to a 2nd TB port that attaches to the caldigit, then that would be great! However, if I could get it to work with 1 attached to the HDMI port and a DP monitor attached to a 2nd TB device that attaches to the caldigit TB port, then that would be great! The station doesn't magically give you any more display outputs. I tried on various other macs lying around. 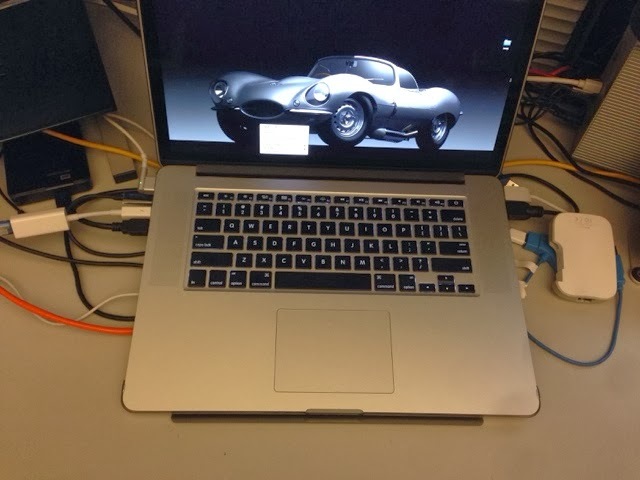 I was able to do with my specific 15" Macbook Pro Retina set-up using the GT 650M GPU. Also, I have to note I had to connect to the displayport and DVI-D on my 27" Dell U2713HM in chain mode. Having a displayport-to-HDMI adapter doesn't work. Thanks for the detailed review, much appreciated. Probably gonna get one of these eventually, to ease cable management and to get wired ethernet for my MacBook Pro. Seems to beat rest of the thunderbolt docking stations with ease. Just got mine hooked up this morning - solely for the purpose of adding USB3 to a 2011/2012 Mac Mini that doesn't have it - and am very happy so far. Connect a Dell 27 with a MiniDisplay/DisplayPort cable and a LG24 (HDMI) to MacBook Air with a CalDigit TB-Station? I MUST have a Thunderbolt Display from Apple. Sorry, but this is crazy. Macbook Airs only support one external display via MiniDisplayPort. MiniDP can be converted to HDMI. 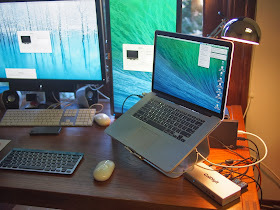 If you are using Thunderbolt, the only way to get multiple is to multiple Thunderbolt displays. I am sorry. I am really confused... :-( Macbook Airs has a TB port and support all tb devices. And, your are right, it support a non tb-device like Dell 27 with a MiniDisplayPort to DisplayPort. You should read up on the Apple FAQs (http://support.apple.com/kb/HT5219#dispnum) on what your computer is capable of displaying. To get more than two displays on an Air (Mid 2012 and later), you need two Thunderbolt Displays. 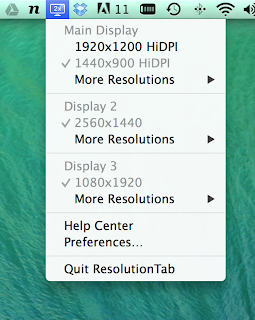 Thunderbolt displays in their specs allow for chaining. A Dell is not a Thunderbolt display. It is a DisplayPort (you can use MiniDisplayPort) and various other adapters but it is not a Thunderbolt display. Some DisplayPort Monitors allow chaining with other DisplayPort Monitors but none of I Dells I know does this. The Thunderbolt Station won't give you more external display outputs than the capabilities of your existing computer. Hence, my phrase, YMMV (Your Mileage May Vary). This has nothing to do with the Caldigit Station. It is dependent on the GPU of your Mac. In this case, it is probably the built in IGP Intel GPU - HD3000, HD4000 or Iris. The only work around to this is to do what some of the other people have done. Use a USB 3.0 DisplayLink (DisplayLink is not the same as DisplayPort) solution. I'm looking to get this dock, but have one question... Does the HDMI port video and audio? For example, my plan is to use this with my Macbook Pro and a Samsung TV. If I use HDMI from the MBP to the TV I get video and audio and wanted to make sure that would not change with this dock. It would be nice to just plug in one cable to dock, but have the same (hopefully better) setup. It does port audio via HDMI. It shows up in the sound preference. You also get the USB DAC. However, for HDMI, I don't know if it supports features like DTS passthrough or anything like that. It also does audio via DisplayPort. 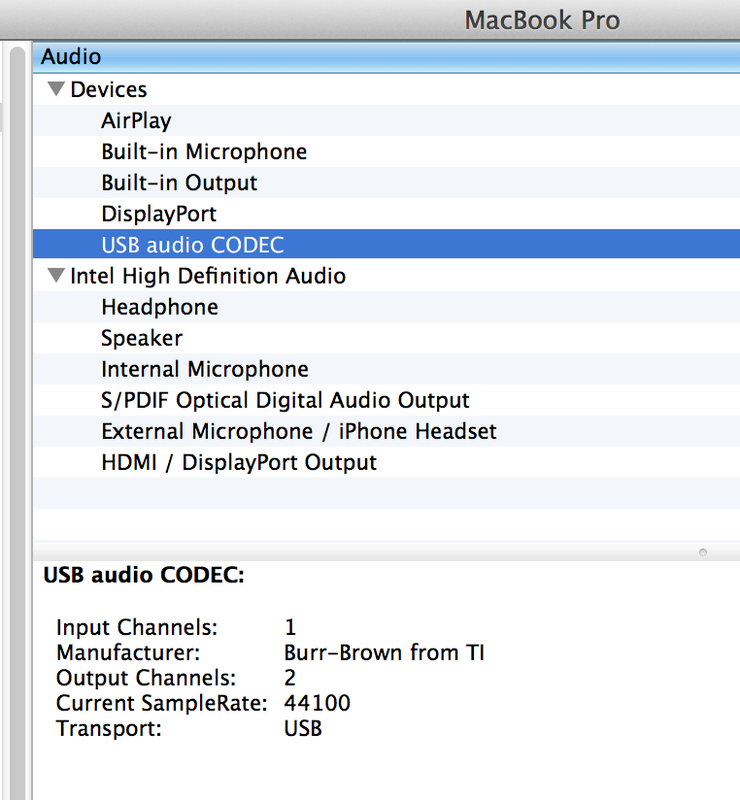 When I connect my U2731HM Dell, I get audio via Thunderbolt - DisplayPort. Awesome! thanks for the response! Ok, i have understand, 2 analog displays are not possible. I will wait for next generation of tb-displays from apple. But the next problem is like this - iphone 5 and ipad air doesn't get any battery power from the tb-station! Regarding the iPhone/iPad charging issue, see http://www.caldigit.com/thunderboltstation/faq.asp, USB 3.0 section, item 10. Quote: "When using a USB 2.0 connection, the max output will be 500mA. Some devices such as tablets or powerful smartphones require high power draw will charge slower than usual. Apple iPads will charge when connected to the Thunderbolt Station but the icon will not indicate this due to the lower power output. CalDigit is working on the software to improve the higher current charging." I hope Caldigit can improve this, as I'm interested in the Caldigit Thunderbolt Station but would like to be able to plug my iPhone into it and have it charge at a reasonable speed. I'm less concerned about the iPad as I don't plug it in very often, and could use either its power adapter or a built-in USB port. Good point as I wanted to buy an iPhone 5s but I'm completely new to Apple....how does the 5s charge ? TB cable ? I plug in my Samsung GS3 in the front usb port of the thunderbolt station and it charges really quick ! All iPhone (and iPad) models charge via USB 2. They have a proprietary connector at the device end (30-pin dock or Lightning) but include a cable to plug into a standard USB type A socket. Apple has a proprietary mechanism to deliver more current than specified by USB standards, which is supported by the built-in USB ports on recent Mac models (circa 2007 and later). If an Apple USB device is recognised, it can negotiate with the Mac to get more than 500 mA so it can charge faster. For an iPhone, 500 mA will charge at a reasonable speed, but its included power adapter will deliver 5 W (1 A at 5 V), as will the USB port on most Macs that support Apple's extra power mechanism. For full size iPad models, 500 mA is barely enough to charge the battery very slowly with the display off, and not enough to charge the battery with the display active. The iPad's included power adapter delivers 10 W (about 2 A at 5 V) or 12 W (about 2.4 A at 5 V) depending on the model. The USB port on some recent Macs can deliver up to 2.1 A to an iPad, with other models having lower limits. For the Thunderbolt Station to be able to deliver more than 500 mA per port (via USB 2.0) in order to reasonably charge an iPad, Caldigit needs to implement Apple's proprietary extra current negotiation, which might be tricky if Apple doesn't licence that mechanism to them. 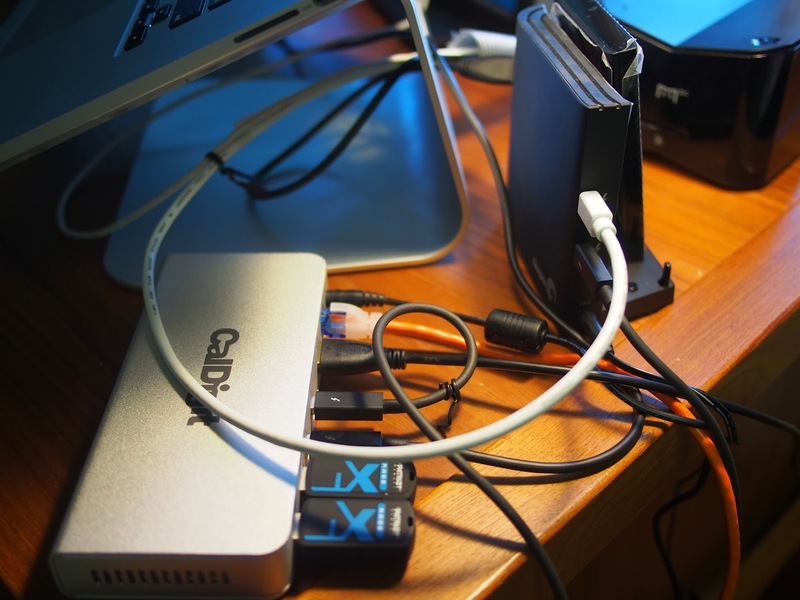 Does the CalDigit digit dock use 3 independent host controllers for those USB3.0 ports and so possibly using independent channels on the Thunderbolt dock?... or are all three using a shared controller as a nasty bottleneck? That is,.. 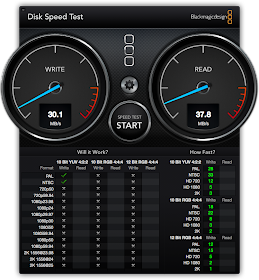 If I connect two external USB3.0 drives and make a RAID0 managed in software am I going to get a speed advantage over just connecting a larger drive on a single USB3.0 on the dock? If there's only a single usb host controller isn't that going to limit my drive use to max.theoretical 5Gps rather than the potential 10Gbps? 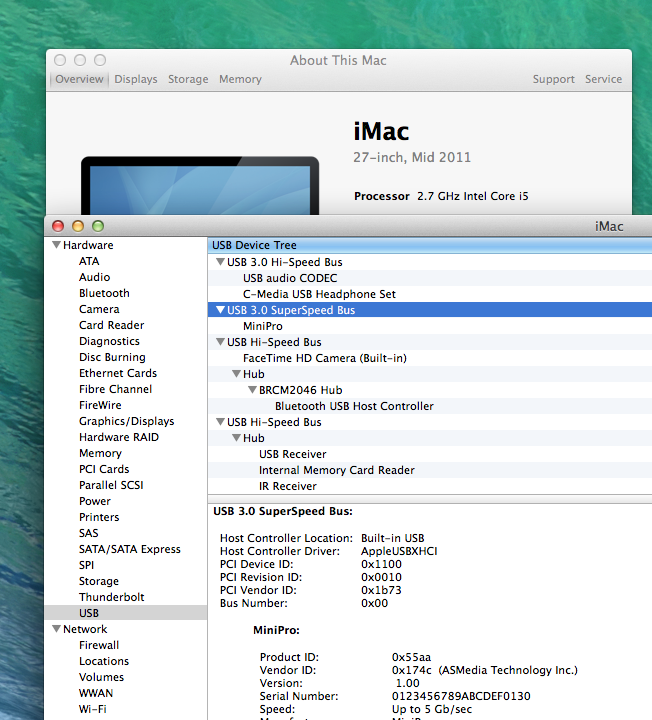 Tested mine (just got it today): System Information on the Mac shows the Thunderbolt Station as having a single USB High-Speed bus and a single USB SuperSpeed bus. A High Speed peripheral plugged into any of the three ports appears on the same bus. A SuperSpeed peripheral plugged into any of the three ports appears on the same bus. Two SuperSpeed peripherals also appear on the same bus. Therefore there is a single host controller for all three USB ports. 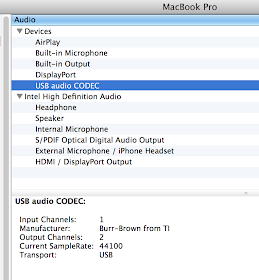 I also note that the audio I/O ports are a peripheral on the high-speed USB bus. Anyone encountered battery issues when connecting the station ? I have dp monitor and hdmi monitor. I want to connect two monitor to docking station. I have to insert thunderbolt device between docking station and dp monitor for connecting two monitor at the same time? You will have to insert another Thunderbolt device between the CalDigit Thunderbolt Station and the DisplayPort monitor. The reason is that Thunderbolt controller chips only have a single DisplayPort output, and the CalDigit is using that output on its controller for the HDMI port. 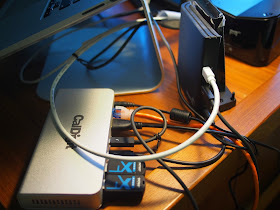 To connect another display, you need a second Thunderbolt controller, which can extract the video signal from the Thunderbolt protocol and output it as DisplayPort. This is being done by the controller in the next device in the chain. OK I'm thoroughly confused now. I have ZERO thunderbolt accessories at this point. All I want from my mid 2011 MacBook Pro is 2 external displays with the lid closed, and to add USB 3.0 since I only have 2.0 at this point. I am powering one single external monitor right now with the MiniDisplayPort to DVI adapter. 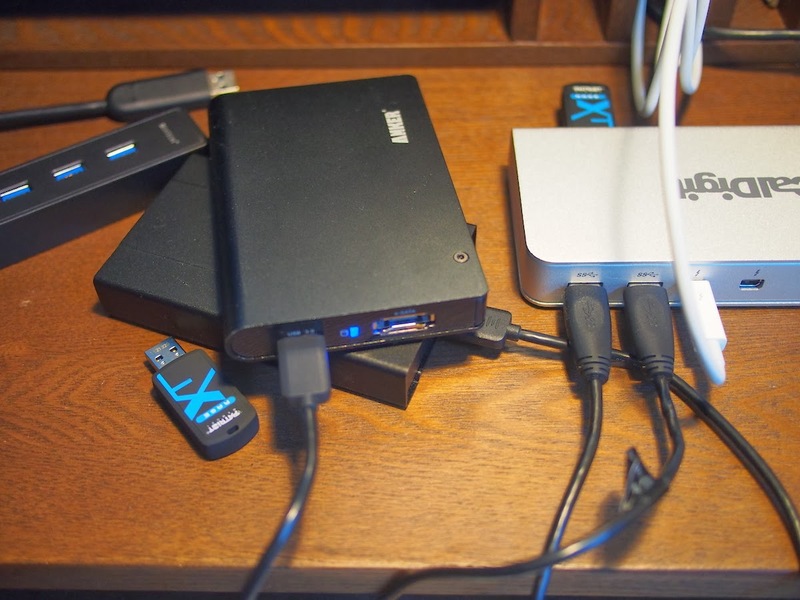 Could I go Thunderbolt to dock; HDMI to monitor 1; MiniDisplayPort to monitor 2? 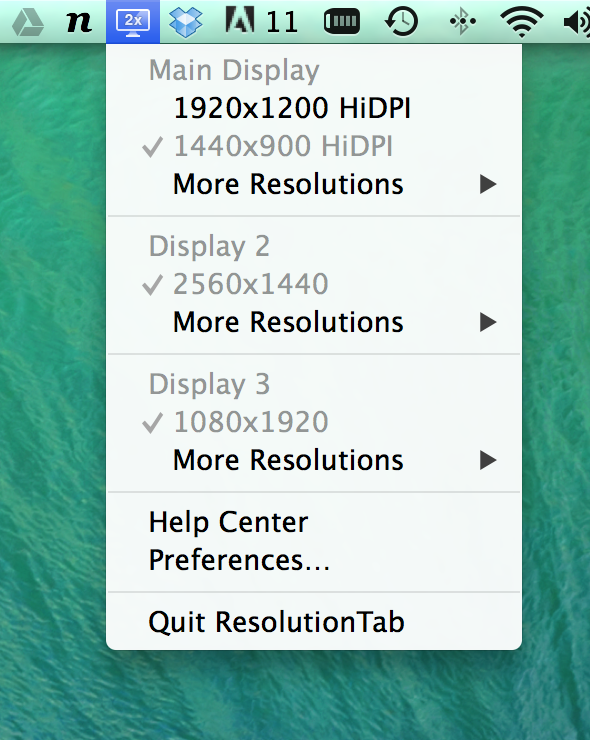 If your 2011 MacBook Pro is a 13" model, then you can't drive two external displays via Thunderbolt/MiniDP. If it is a 15" model, then you can, but you need more than one Thunderbolt peripheral to achieve this. See my reply to the previous post for technical details, but here is a summary. To get both displays working, you need another Thunderbolt peripheral with two Thunderbolt ports, daisy chained after the CalDigit Thunderbolt Station. For example, a Thunderbolt hard drive with two ports. You can then plug in the first monitor to the CalDigit's HDMI port, and the second one via MiniDP daisy chained off the hard drive. I am a huge fan of USB to Video (DVI or HDMI). I have personally used this product and it works well. It is a USB 2.0 to DVI and I have played HD content through it. The company I work for bought 50 of them off my recommendation and they all worked great. I too have a 2011 MacBook Pro 13 and I have used the above device but I'm thinking of picking up the Caldigit Dock for 3.0 speed and I might just pick this USB 3.0 to HDMI up as well. It's the newer version, same company. So HDMI out of the dock and this USB to HDMI out of a port. In case you look at other USB brands, I have personally used the Triton and it’s terrible. The EVGA is pretty good but the HIS is far superior in my opinion. Good Luck! Any idea if the headphone jack supports headsets with built-in microphones? Or does one need to split the microphone input out with an adapter? I need to use this port for video editing. I will be using a thunderbolt hard drive and 1 external display off this station plus backing up on USB 3 HDDs. Would there be any issues on the displays or performance issues while editing vides on FCP. I just wanted to thank the author of this post. I have a 2011 MBP and was looking for a 3.0 solution. This is a great fit as I wanted to run the HDMI out as well as the Thunderbolt to HDMI but now know that I can't run that. I already have the HIS USB 2.0 DVI adapter but will likely pick up the new 3.0 to HDMI as well as a 3.0 hub to plug into this as I run 3 external monitors, hoping for a 4th soon. Thank you very much for the detailed review. Now I have some hopes about setting up a multi display workstation. I guess this alternative wont work because I need another device between Thunderbolt display and dell ultrasharp. Please correct me if I am wrong. I guess this will work based on what you said about another thunderbolt device is needed to separate the video signal and send it to DP. Would you help me be sure that my understanding is correct and these are the possible alternatives that I can choose from? Alternative 1, yes you would need an intermediary. (See #20, http://support.apple.com/kb/ht5219#20 , actually this page has a table that also explains what the 'max' monitor setup is). Alternative 2, should work based on original post above. Alternative 3, I think that should work. What I'm confused on is, CalDigit advertises this device as a thunderbolt daisy chain device, and Apple advertises the Thunderbolt Display as a Thunderbolt device you can daisy chain. So is it only because the "end of the line" object isn't thunderbolt (it's Displayport) the reason why you need another thunderbolt device? Thanks for this post. Much appreciated as I just took delivery of mine. I have a 2012 Macbook Air 11" and a 15" 2011 Macbook Pro. I wanted the advantages of USB3 and wired ethernet for the MBA and the ability to dock and undock easily without disconnecting a bunch of cables. 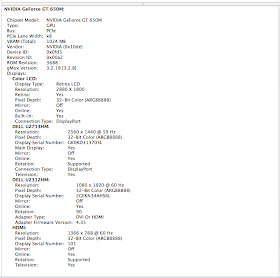 Can I use two DELL S2440L displays with MBP Kid 2012 clam-shell mode? I am connecting those two monitor with HDMI and Mini display port to HDMI cable. However, when I connect HDMI, the other monitor using Mini display port is automatically closed. Then, if I disconnect HDMI, Mini display port gets active. Does anyone know solve this problem, or I can just use one display? 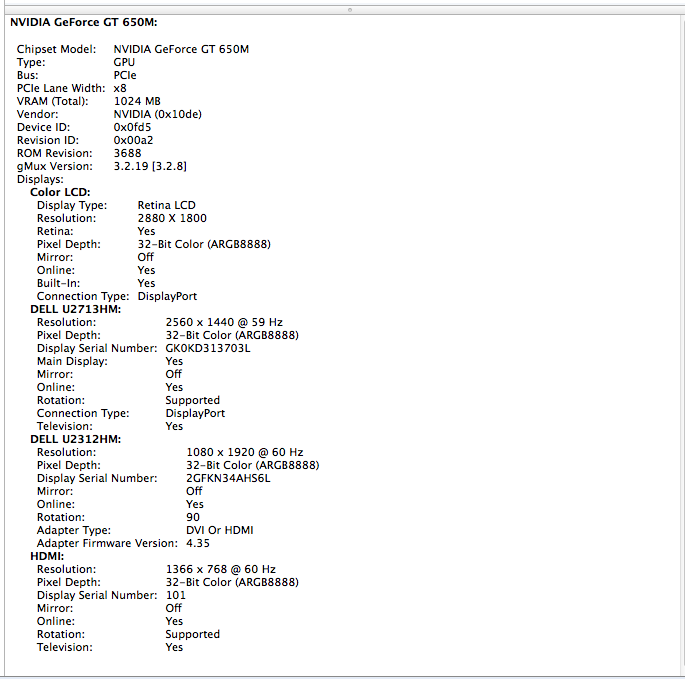 Can I use two monitors (DELL S2440L) with MBP Mid 2012 clam-shell mode? I am connecting those two displays with HDMI cable and Mini display port to HDMI cable. However, the monitor using Mini display port to HDMI cable cannot be active when I connect HDMI. Then, if I disconnect HDMI, the other monitor gets active. Does anyone know how to solve this problem, or I can just use only one monitor? Does it work with the Apple Thunderbolt to Firewire 800 adapter? Really incredible thanks, The concept of a Multi USB Charging Station is great for travelers since it is certainly hard to find enough outlets to plug in chargers for GPS systems, phones, kindles, travel batteries and Bluetooth headsets in a hotel room, especially if you are sharing your room. A docking station is quite useful for those who want to use their mobile phones at all times such as business owners. Charging a mobile phone usually does not allow you to use your mobile phone but a docking station helps to keep your mobile phone straight where you can utilize the phone at any time. Browse through the entire range of Docking Station Charger at LatestOne to get the best deal. I like toys and gadgets. These are the musing of a 40 something tech geek. I also work in the tech field.